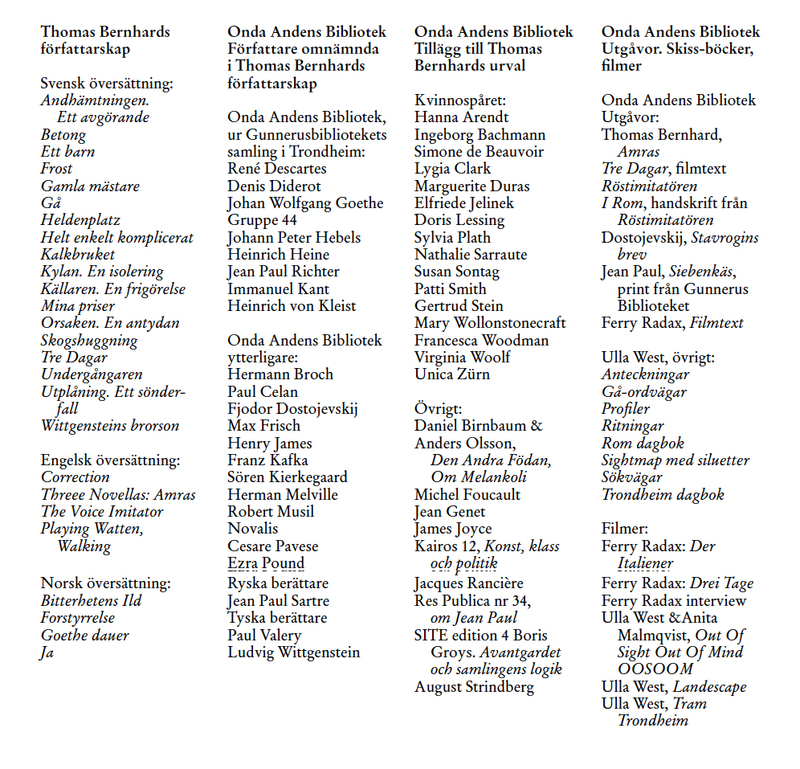 Soloexhibition – Tracing Thomas Bernhards writings. 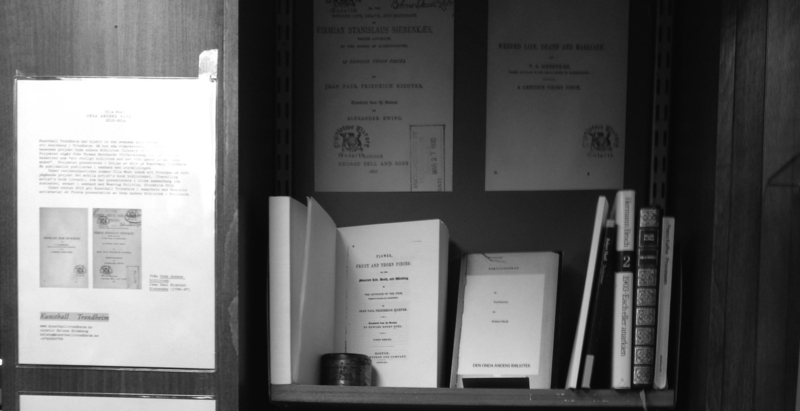 In conjunction to the exhibition Ulla West also presents items from the travelling artist’s books library. 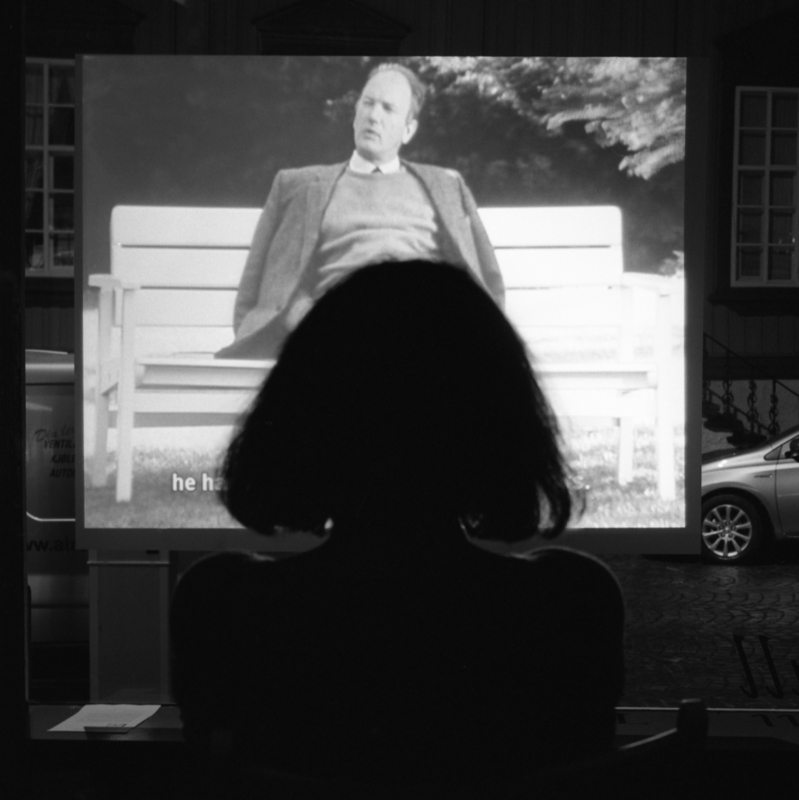 Program: -Screening: Film about Thomas Bernhard by Ferry Radax, Drei Tage 1971 Invited poet writer Helena Eriksson lecture about Unica Zürn, her work with art and poetry/anagram. HE talks about an ongoing project, a book about Unica Zürn and Hans Bellmer to be released 2014. 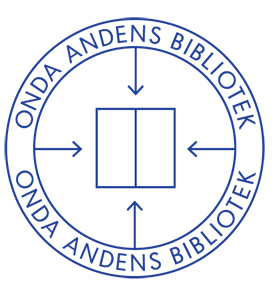 -Artist’s books circle with local artists.